Technological startups are quickly becoming the dream of graduate students everywhere as they require little assets to begin and have the potential to grow into a highly profitable business. However, an entrepreneur must also be able to gauge the market, match present needs, and stand out among the crowd of wannabes. This is exactly what Karolina Demianczuk did with her recently released smartphone app "Spontime", which is already reported to be worth three millions dollars. Although Karolina is still a student, Karolina is poised to revolutionize the tech world with her product, and is quickly following a trajectory to attaining success. Her Spontime project is supported by Rotary International, Silicon Valley Acceleration Centre, Polish Trade Office in Washington DC, and Warsaw School of Economics. 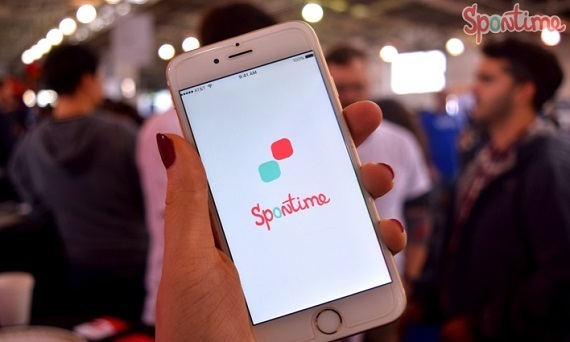 Unlike traditional apps whose goals are to keep the consumer in front of their electronic device for as long as possible, Spontime tries to do the exact opposite by making it easy to connect with friends face to face in real life. It does this by allowing users to post their spontaneous plans, and have their friends sign up to join them. Due to its nature, there are no messaging or commenting features yet so everything is planned outside of the app. This way, all conversations take place without technology so people can spend time with others rather than a virtual ghost. Featured on Forbes, the app has gained amazing popularity even in today's digitized world. In its first day alone, there were over two thousand download requests, proving that Karolina has hit the jackpot. The product also proves that something does not have to have fancy features to garner interest. The app is meant to be used for organizing mundane, commonplace activities such as jogging or going out to eat, ensuring that everyone gets the chance to hook some company no matter when or where. The implications of this are huge as well. With this app, people can have fun without the stress of planning anything in advance. 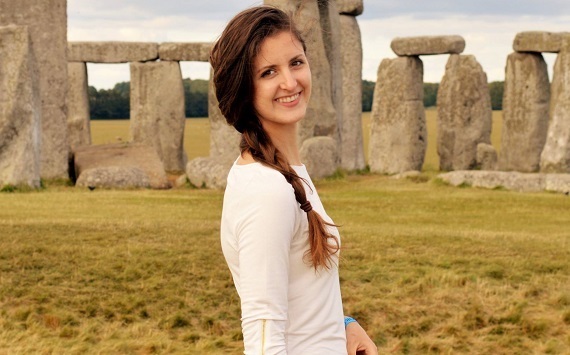 Karolina states that her experiences travelling abroad - to over thirty countries as well as living in three - were the inspiration for her app. Despite all of the cultural differences, people everywhere are finding it difficult to maintain relationships without the frills and ease of technology. Her app pushes its users to go beyond sharing cat videos and funny pictures; they can share in actual experiences and make meaningful memories. It is integral that people can distance themselves from their devices, which is hard to achieve considering the prevalence of Wi-Fi hotspots and smartphones. In short, Spontime is a refreshing reminder to remain in real life and maintain relationships with people outside of a digital chatroom, a notion very few seems to understand in the world today. Demianczuk 's success is not just due to the popularity of any and all types of social media; it is also because Spontime takes the 'social' to another level, a place where everyone needs and wants to get to but cannot with traditional apps. Once the product hits the app store (it is free to download), people can expect fewer pings on their phone and more opportunities to connect in real life.